An accessible health warrior and emotional health lover, Bringing Wellness Home in SIMPLE & REAL LIFE WAYS with stories and solutions to help us all live life well is Lucia's mission. Armed with a Master's degree from Boston University's Graduate School of Clinical Social Work with a focus in psychotherapy and social issues, as well as a Master's from Emerson College in Media Studies, Lucia has long combined professional experience and high-level education to form an expertise in a variety of health, wellness and social issues. Lucia specifically has focused her training on issues pertaining to reduce maladaptive coping skills (specifically pertaining to eating related issues,) and other behaviors that cause distress. She also has focused on narrative therapy and changing the stories we tell ourselves and others in order to form better relationships with ourselves, others and the things we love. 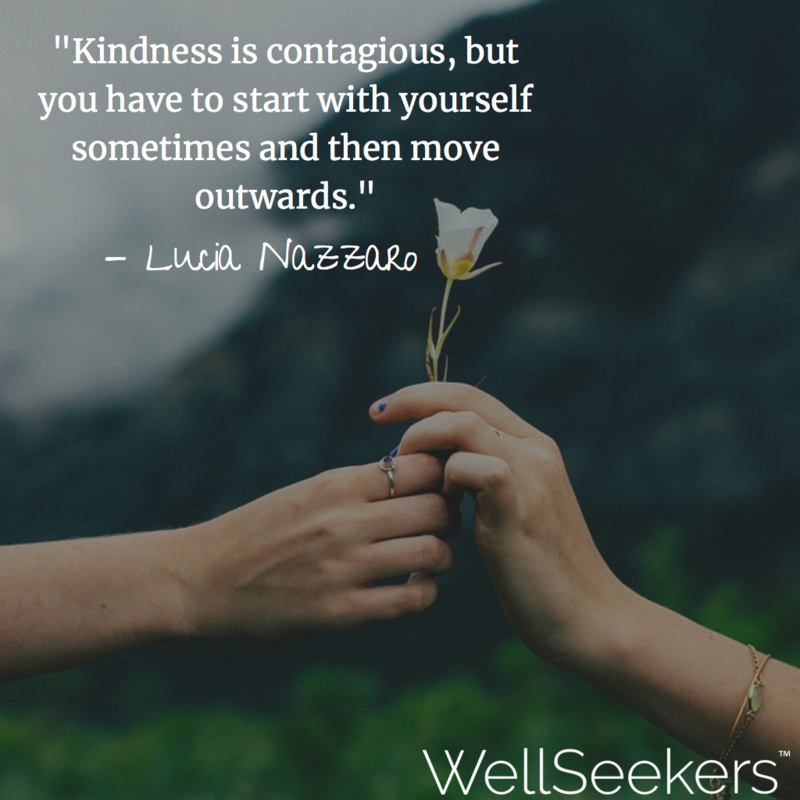 Lucia now is the co-founder and creator of WellSeekers which provides wisdom, stories and services to help others form a better relationship with themselves and others & to live life happy and well in Simple and Real Ways. She also is the host of the accessible health and wellness centered show, WellSeekers w/ Lucia and Lucia at Night, a show that focuses on one of Lucia's favorite topics emotional health, and teaches us how to love ourselves and others well. ​As a two-time Emmy nominated multi-media personality and licensed individual and cultural wellbeing expert with a passion for health & wellness, Lucia founded WellSeekers. WellSeekers provides simple & accessible stories and solutions to be your best you! Form a better relationship with yourself and others for healing, nourishing and enhancing happy & healthy body, mind, heart and spirit living. WellSeekers shares original DAILY stories, videos, podcast, blog and quizzes for solutions and inspiration to help nourish your life story, through what we refer to as Well Media. Well Media provides inspiration and stories in fun, simple and informative ways to connect with better living and a community; a Seekerhood of people trying to heal, grow, shine and give back to others in this one crazy life. Well Media will make your life, our culture and the world a whole lot more well. You got this and we got you at WellSeekers!